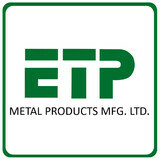 ETP Metals Products Mfg. Ltd, specializes in the production, distribution and installation of aluminum railings, fencing, pergolas, columns and decking. Our goal simply is to offer our clients a low maintenance, high quality solution to their outdoor living needs. UPDATE: We are currently booked for pool projects for the 2018 season. We are accepting opportunities for pool building for the 2019 season. Jay Saveall started from humble beginnings with just an old Chevy, a borrowed trailer, his father’s lawnmower, and a positive customer focused attitude, Jay maintained yards throughout the summer months for family, friends, and neighbours while working full time as an Account Executive in the IT industry. Looking back Jay is very proud to say that he made the correct choice by giving up his professional sales career in the IT industry to chase his passion. Jay continues to execute the same family oriented approach to his business today as he always has. As the landscaping industry progressed, so did Green Side Up. The company has expanded from year round residential property maintenance to landscape construction and pool building. 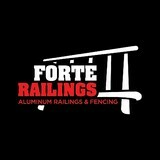 FORTE Railings Ltd. is located in Concord, ON. We are a Reliable company with remarkable customer service that offers high quality railings with competitive pricing. We have the experience and knowledge you are looking for to complete your project. We are Niagara’s top wrought iron shop, offering exceptional quality for competitive prices. Here at BellFerro Ironworks we build unique wrought iron railings, guardrails, staircases, stairs, gates, fences, furniture and accessories. We also build everything from small utilitarian railings to one-of-a-kind furniture and accessories using reclaimed and recycled wood, old chairs, antique doors and whatever else I or our customers find interesting. Our aim is to build something that makes you happy, be it simple or ornate ~ something that you will enjoy for many years to come. We are serving the Niagara region – Grimsby, Hamilton, Stoney Creek, Beamsville, West Lincoln, Niagara Falls, Niagara on the Lake, St. Catharines as well as Burlington, Oakville, Mississauga and the GTA . Contact us today so we can provide you with professional services at fair prices! We hope we will be hearing from you soon to quote on your requirements. Bamboo Toronto, formerly operating as Greenicurrent Inc, has been selling bamboo landscaping products in the Toronto region since 2010 . We specialize in selling bamboo fences, bamboo poles, tropical thatch and matting. We do custom landscaping projects and contractor work involving our bamboo and natural building materials. We also provide free consultation for our DIY customers using our products; many beautiful projects posted are successfully done by our DIY customers. We accept appointments outside business hours & provide shipping service across Canada! At BellFerro we are dedicated to creating unique high quality interior decorating wrought iron items such as wrought iron table bases, coffee tables, stools, iron benches, ornamental iron panels, wrought iron room dividers, decorative mirror frames, custom design book shelves and more. We also build wrought iron railings and fences. Total Fence Inc. best serves its clients in the GTA and Toronto locations with a full range of residential and commercial fencing services, covering a broad scope of both modern and conventional fence options, including acoustic sound fences, chain-link fences, ornamental iron fences, sound barrier fences, and wooden and Japanese lattice fencing. Don’t go by the name—we also possess impressive experience and expertise in deck designing and custom carpentry to match your tastes and styles, no matter how unique or out-of-the-world they may be. Get yourself a chance to enhance your property’s look and improve your curb appeal! Originally a family owned and operated business established in 1969. European Wrought Iron Works is located in the City of Vaughan, Ontario, Canada. Our facility concentrates on ornamental wrought iron products. In search of inspiration, through travel all over the world and now with the use of AutoCad, a huge array of custom fences, gates, interior and exterior railings and front door entrances. We have developed our own precast concrete masonry pillar specifically engineered to support a driveway gate with automation. Within each pillar, we have included the electrical rough in work, the engineered steel post and base plate.Our award winning design is simple in appearance but unique in functionality.Available in a variety of colors and finishes. In addition, we offer gate automation systems for estate security.Our product list includes, telephone entry systems, auxiliary key pads, cameras, D.V.R.’s, lighting, surge protection, emergency access, safety photo cell and vehicle loop detection, for your home or business application. Let our team put together a package that works for you. All work guaranteed, service packages also available. Since 2001 Tri-City Fencing has been providing Quality Residential & Commercial Fencing Solutions to it's customers throughout the regions of Southern Ontario. 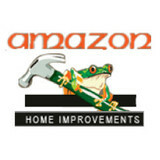 We are a Family Owned & Operated Business that Supplies Top Quality Products & Workmanship. With our Low Overhead Costs,the savings go directly to you. The Home or Business Owner without Sacrificing the Quality that Tri-City Fencing provides on every Installation. 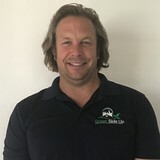 Our Trained Sales Staff and Skilled Fence Installers have over 20 yrs Experience guiding Customers towards the Fencing System that's right for their Needs and their Budget. Whether your interests are for Residential,Commercial, Security or Beauty,we can offer a Wide Range of Styles to Enhance any Outdoor Living Space or Property. From start to finish,we'll take care of everything from your Fence Design,Property Survey,Yard Markings, String Lines and all Utility Locates with Ontario 1 Call. Ray's Fence and Deck was established in 1998 and consists of a very talented crew! They have the ability to bring your dreams to life, whether it is through thoughts or a visual picture. The team designs high quality products for each and every client and there is absolutely no job too small or too big. Ray Kelly and his team will work one on one with their clients to ensure their needs are met on time and on budget! Although We have been in the business of installing fences since 1999, Fence for You Limited was established in the year 2005 by its president and founder Jaime Hernandez. Since then, we have been expanding to the point that sometimes get overwhelmed by the amount of calls and request for quotes from the public and web site visitors. And we would like to extend an apology to those customers not responded to on time. While we make strides to improve, have at the same time, planned to increase our technical staff and job estimators to provide more availability so we can keep up with the volume of inquires. More importantly to our customers is the assurance that we are here to stay, and continue to commit to keep our promises of finishing the job on time, on budget and to the specification as agreed, no surprises. But even more important to you is our assurance that we stand by our products and our workmanship. We honour our warranties to you! That is our most respected principle. Express Fence is a company that is focused on subdivision fence projects. Our office team will work hard to get allyour neighbours on board and site team will provide best workmanship to complete your fence project on time. We build more than 20,000 ln ft of fence every year and this number is growing rapidly with hundreds of satisfied customers. ■ Unlike industry standards, we provide best estimated completion time for your project ■ We can purchase high quality material with low cost because of subdivision volume ■ Our experienced teams will complete your project with high standards and meet project deadlines ■ We provide 5 year workmanship warranty We believe providing best customer service and products to our valued customers is our main goal as a company. Our team at the site works hard to bring best possible workmanship and our office team is focused to provide best customer service and best material with low cost possible. Our site teams are experienced but they always improve themselves to get better and better every day. Subdivision projects bring us volume on purchasing and we always use this buying power to reduce cost of material. This is how we can provide the best possible price with high quality fence for your home. Privacy Statement Express Fence Inc. is committed to respecting the privacy of individuals and recognizes a need for the appropriate management and protection of any personal information that you agree to provide to us. We will not share your information with any third party outside of our organization, other than as necessary to fulfill your request. Serving Southern Ontario since 1980, family owned and operated Burlington Fence Ltd. is a leader in residential and commercial fencing and offers a large inventory of fencing and accessories for DIY customers. Our experienced staff members are committed to providing unmatched customer service, and all of our products and workmanship are guaranteed. Burlington Fence Ltd. serves residential and commercial customers in Hamilton, Burlington and Mississauga, as well as other surrounding locations in Southern Ontario, including Halton, Peel, Wentworth and Niagara. We offer professional fence installation services and have a wide inventory of quality fence materials and accessories for Do-It-Yourselfers. Please give us a call, send an email, or use the eform on this page to contact us for more information or to schedule a free estimate at your home or business. Dufferin Iron & Railings Inc.
Dufferin Iron & Railings has proudly served Greater Toronto over 40 years. We are a family owned and operated company, manufacturing custom wrought iron railings, fences, gates and various unique custom iron products since 1972. Our website photo gallery showcases around 500 pictures. If that is not enough, a visit to our showroom is a must. This helps our clients design their own unique railing, gate, fence, balcony or other custom iron work comprising of the various forged steel components and picket designs. Our expert sales associates offer the proper guidance and advice to achieve the final vision with practicality and design, all-in-one. We can help choose what best suits the property and ultimately make our clients happy with the final product. Forget the rest, it's what we do best! Your Brockton Village, ON fence installation and repair professional will work with you to create your ideal fence. Fence installation or replacement. If you are in the market for a brand new fence, a contractor’s services will include walking you through various fence styles and materials, determining a suitable height, ensuring that all fence designs and plans are compliant with Ontario building codes, and that the fencing meets both your stylistic and security needs as the homeowner. Fences and gates must complement the grade of your property as well as the type of soil you have, so the contractor should always plan around these considerations. Additionally, if you don’t know exactly where your property lines are, he or she can commission a survey for you. Find a fence contractor in Brockton Village, ON on Houzz. Narrow your search in the Professionals section of the website to Brockton Village, ON fence contractors. You can also look through Brockton Village, ON photos to find examples of fencing and gates that you like, then contact the professional who worked on them.